With a little work you can make your MyBB forum mobile friendly so your content looks amazing on smart phones and tablets. 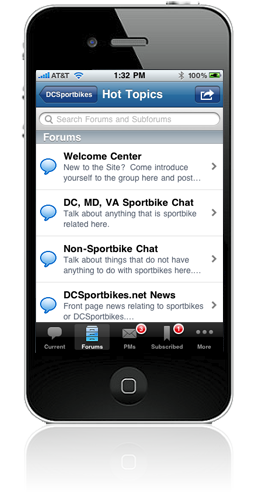 There are three easy ways that you can achieve a mobile friendly forum with little effort. It’s a light weight mod that can be downloaded from the official MyBB site, and it is also downloadable and maintained on GitHub. Easy installation is why I recommend this mod / plugin. This mod comes with a gomobile_theme.xml and a plugin that you will need to install. GoMobile is intended for MyBB 1.6.8, but there are reports that it can be made to work with 1.8. I included a solution at the end of this section. This is what the GoMobile theme looks like. - 1. Upload the contents of the "Upload" folder to the root of your forums, keeping the folder structure intact. It’s possible to use this plugin with a different mobile theme such as the mobile theme that is included with Metro theme or the OrionMobile. 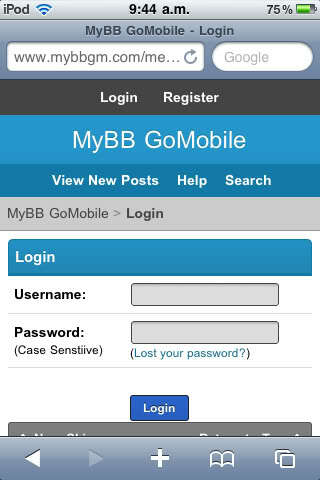 Simply find your mobile theme ID then in the MyBBGM plugin settings page enter that theme ID into the Theme ID field. Find gomobile.php file in the /inc/plugins/ folder and change the compatibility line from 16* to 18*. Look for something that resembles what I included below. What is in red is what you want to edit. You’ve probably heard of this plugin that is available for many other forum software such as IPS, vBulletin, SMF, and the list goes on. Tapatalk is a free solution to make MyBB mobile friendly. This tried and true plugin is also easy to install and it is a favorite for many forum owners and members. Download and installation can be found at the official Tapatalk web site. Fortunately, it’s compatible with MyBB 1.6 & 1.8. This is how a forum look in Tapatalk. 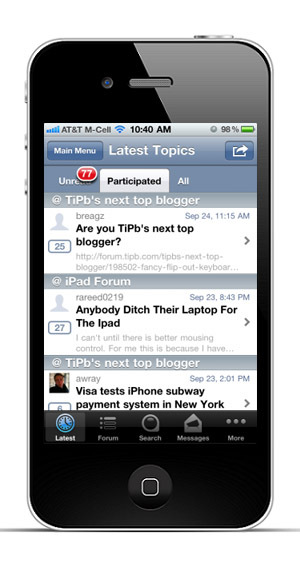 Like Tapatalk, ForumRunner is another great way to get your forum mobile friendly with little effort. Visit ForumRunner to see features. For those that jumped ship when InternetBrands took over vBulletin, you may want to know that IB owns ForumRunner. Whether or not you use the above mentioned solutions to make your MyBB forum mobile friendly it’s important to know that mobile friendly sites can rank higher in search engines such as Google. If SEO is important to you then consider making your forum mobile friendly. Additionally, take a look at our blog post on pagespeed and why it matters. Nice post. Since tapatalk have null support, i start using gomobile and works like a charm with that little trick. Thank you for the kind words. I appreciate that. Tapatalk is very popular and works for many out of the box so I’m not sure what issue you were having with it. Tapatalk is not working properly in my forum. I opened some support tickets with no answer from support team. So i was looking for a way to make my forum mobile-friendly and found that post. I’ve been using GoMobile but changing that file doesn’t magically make it fully compatible with MyBB 1.8. The worst issue is probably that people cannot register using it due to the lack of a security question field so they just get called a spammer. There were several ways to code in automatically send a browser to a mobile version of a site via a conditional “if” statement. I haven’t installed any of these on any of my mybb forums yet, but I’m pretty fond of the sites as they are for PC and Mac. I do have several mybb forums that I’ve decided not to keep, so I have some “scrap paper” to play with. I seem to remember that it simply rel’d a different CSS file or files that turned the information into the mobile format. OK… The gomobile plugin does automatically detect and serve the proper version depending on the device. You can even edit the list of devices that it serves it to. “yoursite(root)”>inc>languages>english>admin>gomobile.lang.php Even with that, it only took a few minutes. I tested it with my RCA android tablet. It works like a charm. Thanks for this article. It’s not often that directions are communicated so logically and clearly. Especially when it comes to Mybb plugins.